In 1951, the federal government began paying increased attention to emergency planning, both for natural disasters, warfare or even invasion of the United States. 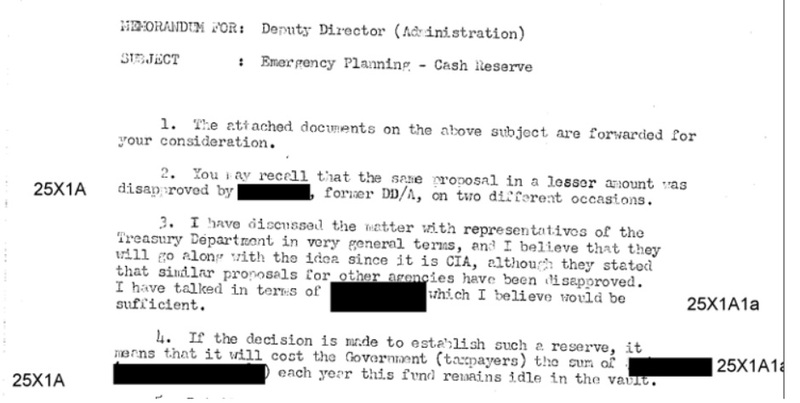 This included a plan to provide for short-term emergency funds for critical agencies like the CIA. The proposal was initially tabled until the Agency Emergency Plan was ready. As the Agency Emergency Plan was developed and the expectations for the scope of emergency expenses increased, the Agency faced another changing factor: the increased likelihood of the use of thermonuclear weapons, which would compound the problems of transportation and communication through the destruction of infrastructure. At the same time, the Department of Treasury and the Federal Reserve developed plans to supply federal agencies with emergency monetary access. Their plan appeared to come with a downside, however: it wouldn’t come into action until after the “initial shock of the emergency” as opposed to being immediately actionable. It would also rely on being able to access the relatively centralized stockpiles of the Federal Reserve and having Treasury personnel to authorize the transfers. The Federal Reserve was apparently optimistic, however, that banking business would be able to quickly resume “after the initial crisis.” Part of their efforts to ensure this paralleled the FBI’s efforts to create secondary communications centers. 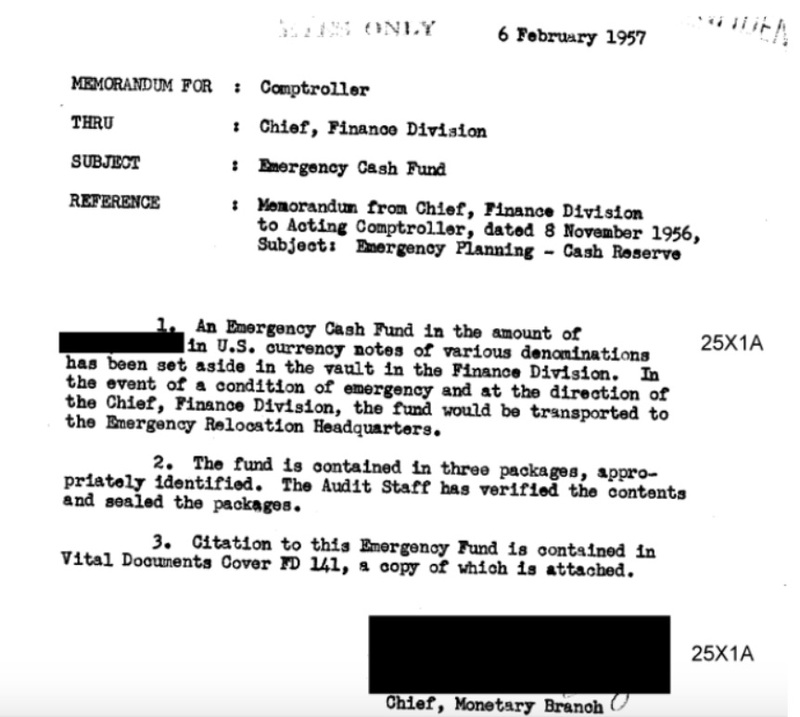 CIA decided that it would be prudent to not only participate in and take advantage of these programs, but to secure at least a two week supply of cash for emergency expenses. However, CIA noted that they shouldn’t rely on the Treasury and Federal Reserve programs. Instead, they should be ready to directly finance the necessary operations at CIA Headquarters. This meant that if the Treasury or Federal Reserve were unable to replenish or supplement these cash reserves, CIA wouldn’t be crippled. A subsequent memo from CIA’s Assistant Deputy Director for Administration sought to dispute some of the Comptroller’s figures. According to the memo, once marked SECRET, CONFIDENTIAL and EYES ONLY, the Assistant Deputy Director (ADD) doubted the Comptroller’s estimate based on a New York Times article. 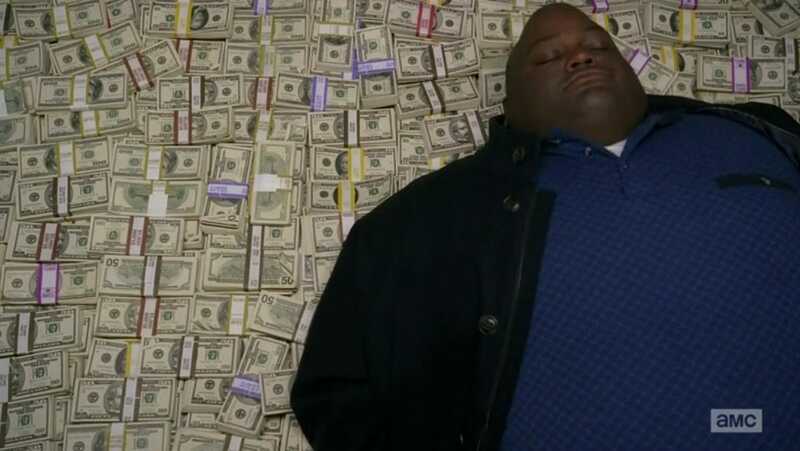 According to the ADD, “The New York Times reports that there were $26,110,089,00 Federal Reserve Notes outstanding … and even $1,000,000 would be a small fraction of that vast sum” and not the 2.5% that the Comptroller had apparently stated. While the ADD’s math is correct, their understanding of financial terms was apparently quite flawed. For whatever reason, the plan remained unimplemented as late as March 1956. However, the Comptroller continued to push for the emergency cash supplies over the following months. 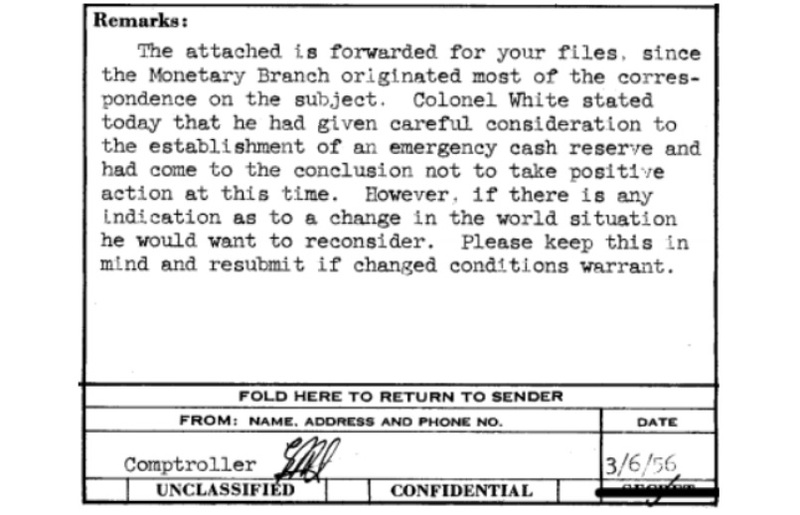 By February 1957, CIA’s staff had finally convinced the bureaucracy to approve the plan for emergency cash supplies. While the amount set aside remains redacted, various statements in previous memos indicates that the amount would have been measured by the hundred thousand. Read the initial memo embedded below. Like Mike Best’s work? Support him on Patreon.